If you love two-lane highways, flowing rivers, glistening lakes, rolling hills, scenic drives, and charming small towns, add Texas Hill Country to your bucket list. Spanning from Austin to San Antonio, this beautiful landscape is full of hidden gems and adventure. Here are 6 amazing places you should visit in Texas Hill Country. Located within the 232-acre preserve lies this beautiful grotto-like pool surrounded by limestone walls and topped off with a 50-foot waterfall. Hamilton Pool is a popular swimming destination for locals and tourists alike. After taking a dip in this natural pool you can have a picnic, hike to Hamilton Creek, or just spend the afternoon relaxing by the water. Kayak the Medina River and revel in a relaxing paddling experience on this secluded winding river. The enchanted setting comes complete with towering cypress trees, turquoise waters, and small streams flowing into the river. While much of the ride is leisurely, there are a few drops, rapids, and tight channels thrown in to keep you on your toes. This enormous pink granite dome rising from the hills is the perfect place to catch a sunset. After a half-mile trek to the top, sit back and take in the breathtaking views. Arrive early and take a hike or linger after the sun sets and enjoy the clear night sky. Located near Austin, this wonderfully preserved limestone cavern was discovered by a highway work crew in 1963. Inner Space is known for its unique, intricate formations as well as containing the remains of 44 different animals, 11 of which are extinct. Cave tours vary from standard strolls on a well-lit pathway to wild adventures through the more undeveloped sections of the cave. 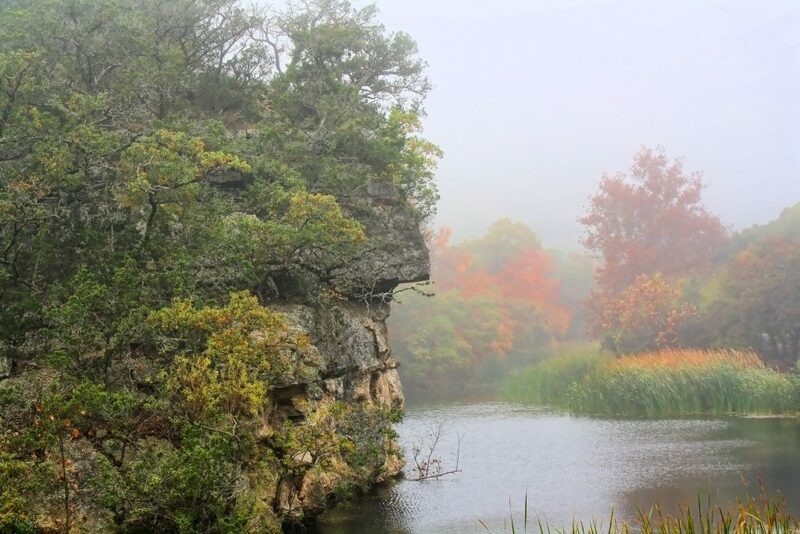 If you love fall foliage, Lost Maples is a must-see. While Texas isn’t usually the first state that pops up when people think of stunning fall colors, Lost Maples puts on quite a colorful display. This 2,000 acre preserve is a great place for hiking, fishing, birding, mountain climbing, and paddle sports. 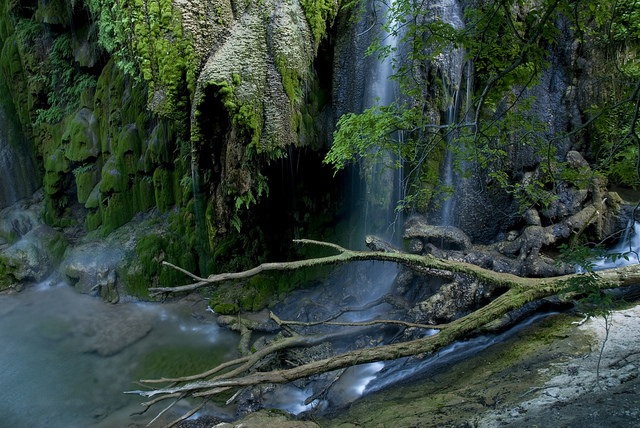 Colorado Bend State Park is a paradise for outdoor lovers. Visitors can explore the 5,300-acres of wilderness on hiking trails, mountain bike, backpacking, or by kayak. There are more than 400 caves in the park, and a number of awesome cave tours are available. The hike to Gorman Falls is one of the most popular activities in the park. This 65-foot beauty is a considered a “living waterfall” and while swimming and in-depth exploring aren’t allowed, it’s definitely worth a visit and a few pictures. Many of the attractions and sights are spread out throughout the area, so staying in a central location will give you easy access to a number of different activities. As a bonus, the drives here are beautiful, and a little extra time on the road will give you ample opportunities for viewing colorful wildflowers and breathtaking scenery. Granite Rock RV Park, located in Kingsland, is an excellent campground for those who want to be in the heart of Texas Hill Country. This campground offers easy access to sights and attractions while giving you a beautiful, comfortable place to unwind and relax after a long day of adventure. Other great properties in the area include Cabin in the Hills, M5 Ranch, and Scurlock Farms. Want to explore more of this enormous state? Check out these awesome Texas campgrounds and start planning your next camping trip!